In this blog I am going to explain my overarching plan to bring Leadwerks into the future and build our community. First, regarding technology, I believe VR is the future. 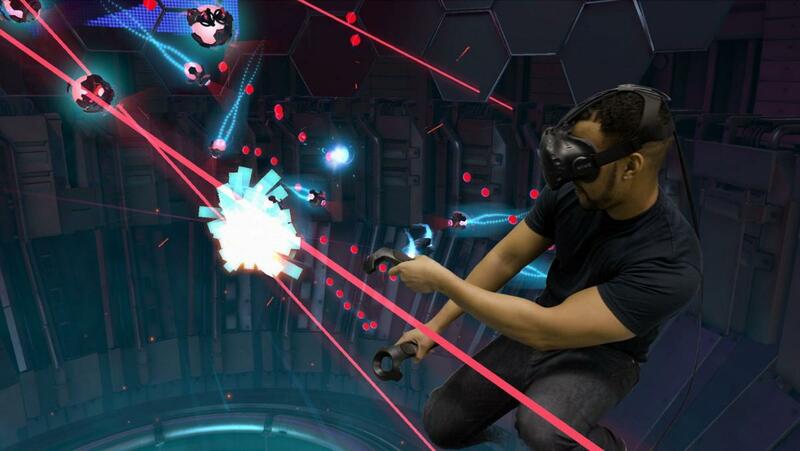 VR right now is basically where mobile was in 2006. The big publishers won't touch it and indies have a small but enthusiastic market they can target without fear of competition from EA. I have an HTC Vive and it is AWESOME! After using it, I don't really want to play games on a 2D monitor anymore. I want to be in the game, but there is still a serious lack of decent content out there. At the same time, I think Vulkan is eventually going to be the graphics API we want to migrate to. Although Apple still isn't supporting it, Vulkan provides the best chance at a real cross-platform graphics API in the future. We eventually want to move everything over to 64-bit and drop all support for 32-bit Windows (which almost no one has nowadays). None of these issues are pressing. In reality, a switch over to Vulkan graphics, if done right, would result in no apparent change in the user experience for you guys. This is more about future-proofing and performance gains. There is one last big thing I can do that could have a huge increase in performance. Right now Leadwerks runs your game code, which calls rendering and physics calls when you choose. A concurrent architecture would have four threads running your game logic, physics, rendering, and AI in separate threads, all the time, constantly. The data exchange between these threads is a complicated matter and would likely involve some restrictions on your code. It would also break backwards compatibility with our existing API examples. So this is probably something to discuss with Leadwerks 5, and may be quite a ways off in the future. However, it's important that we start developing now with a clear idea of where we want to go. If information changes between now and then I can always change our course in the right direction. It doesn't matter. Developing for VR simply means adding in the OpenVR SDK and focusing on performance gains. This isn't like mobile where there's a completely different API and texture formats. VR will not hold back Leadwerks on the PC. It will help it. VR needs a solid 90 FPS, (although it's perfectly fine to lower your quality settings to achieve that). So developing for VR means focusing on performance gains over flexibility. We have a good idea now of how people use Leadwerks and I think we can make those decisions wisely now. I just outlined a plan to replace some of our low-level APIs and a major architectural change. However, I'm not willing to go back and do that until I feel like we have really polished Leadwerks Game Engine and given the users what they need. There's always a temptation to go back to the low-level details, but that just makes you an eternal tinkerer. 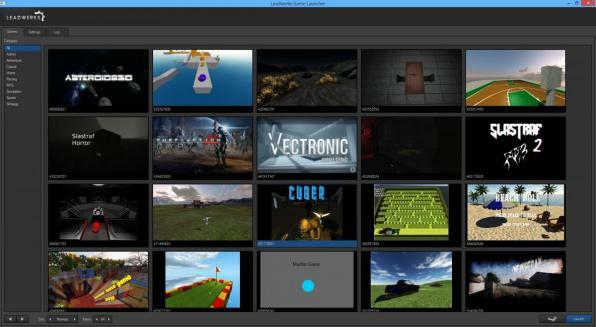 Leadwerks is good because it's the easiest way to build your own games. That is the whole reason for Leadwerks to exist and we mustn't forget that. Next, I plan to add built-in offline help documentation and video tutorials. By default, the editor is going to open the new help system automatically when the program starts. Too many people come on the forum asking questions about YouTube videos from years ago and don't go to the official tutorials still. The revised GUI, built-in help system, and additional game templates will raise our approval rating on Steam up to 80%, which is considered "very positive". Once I have a game development system with an 80% positive rating and (by then) 20,000 users on Steam, that gives us quite a bit of leverage. Success breeds success, and I can use those figures to our advantage when negotiating with third parties. This plan gives us a path forward into emerging technologies, in balance with the needs of the end user and the realities of the business. We won't have a major interruption of development and the game tournaments will continue as this is happening. As always, this plan is subject to change and I may decide to do things differently depending on how circumstances develop. Everything sounds great Josh, looks like other engines also have plans too migrate or support Vulkan with can also helps achieve higher FPS on VR games. I am pumped for the next tournament. Any oficial words about native networking support? Like the idea of more templates and more videos. I really like the ideas you suggested here... recently been doing a lot of work with Vulkan, and although it takes a lot of code to accomplish anything with Vulkan it's well worth it.... easy to optimize, and without doing a whole lot you'll see huge performance gains on AMD cards, and decent ones on Nvidia cards as well... also the framerate seems to be more steady in general when using Vulkan. Been doing some work with physics on a separate thread where the loop is executed at a fixed interval and it's been really nice so far... plan to do some work with threading the creation of sub-buffers on Vulkan as well so looking forward to seeing where LE goes with this, I think it'd be a huge step for the engine. Do four threads require CPU with 4 cores? No, but 4 cores or more is better, even with our current design. I think the expectation is that there will be pressure for dual cores to disappear from new machines when AMD Zen is out (late 2016/early 2017?) as I don't think there is going to be a dual core Zen and I *think* even the most basic Zen is expected to be significantly better than any current dual core Intel (which wasn't the case previously).